The AMA has released the New, Revised and Deleted CPT codes these are currently available on Find-A-Code. View the entire list of changes on the CODE tab and select CPT. Be sure to review all of the changes effective January 01, 2019. There were 9 new add-on codes added for Fine Needle Aspiration (FNA) Biopsy these include reporting imaging guidance, therefore, imaging guidance should no longer to be reported separately. 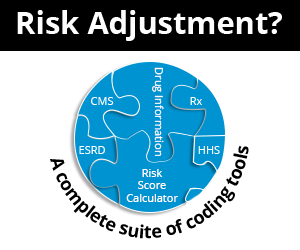 These add-on codes will be used in addition to code for primary procedure for each additional lesion. CPT code 10022 was deleted and replaced with CPT 10004 for each additional lesion. To report specific imaging guidance such as ultrasound, fluoroscopic guidance, MRI and CT you will use 10005-10012. Several new Biopsy Procedures on the skin has been added, including 11102 Tangential biopsy of skin (eg, shave, scoop, saucerize, curette); single lesion. Look for new add-on codes for each additional lesion in this section as well. The FDA also added a new Flu Vaccine, 90689 Influenza virus vaccine, quadrivalent (IIV4), inactivated, adjuvanted, preservative free, 0.25 mL dosage, for intramuscular use. Report remote physiologic monitoring services with 99453 and 99454 were added to report remote physiologic monitoring services during a 30-day period. 99453 - Remote monitoring of physiologic parameter(s) (e.g., weight, blood pressure, pulse oximetry, respiratory flow rate), initial; set-up and patient education on use of equipment. Do not report 99453 more than once per episode of care or for monitoring of less than 16 days. 99454 - Remote monitoring of physiologic parameter(s) (e.g., weight, blood pressure, pulse oximetry, respiratory flow rate), initial; device(s) supply with daily recording(s) or programmed alert(s) transmission, each 30 days. 99454 is not to be used for monitoring of less than 16 days. "Do not report 99453, 99454 in conjunction with codes for more specific physiologic parameters e.g., 93296, 94760"
New CPT codes 99453 and 99454 were added to report remote physiologic monitoring services during a 30-day period. Other codes in this section (99446-99449 and 99091) were revised. Pathology and Laboratory procedures have 51 new codes that were added in 2019. These are just a few changes, watch our Alerts and NEWs for more information.